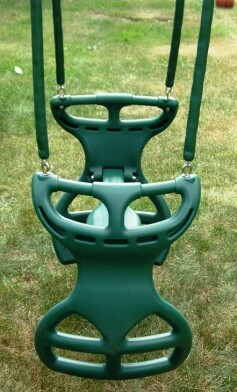 Double the fun with this 2 person, back to back Glider Swing. Requires 4 swing hangers. Available in Green or Yellow only.